DC Comics: Relaunch: Vigilante #1? Home » BC Network » Recent Updates » DC Comics: Relaunch: Vigilante #1? It’s now become incredibly tempting to look at every possibly planned DC project and declare it a ptential new #1 for the DC Relaunch. Because, to be fair, that’s happening a lot. Billy Tucci’s planned Cassandra Cain project… that Jock Detective Comics cover… It’s all grist for the mill. 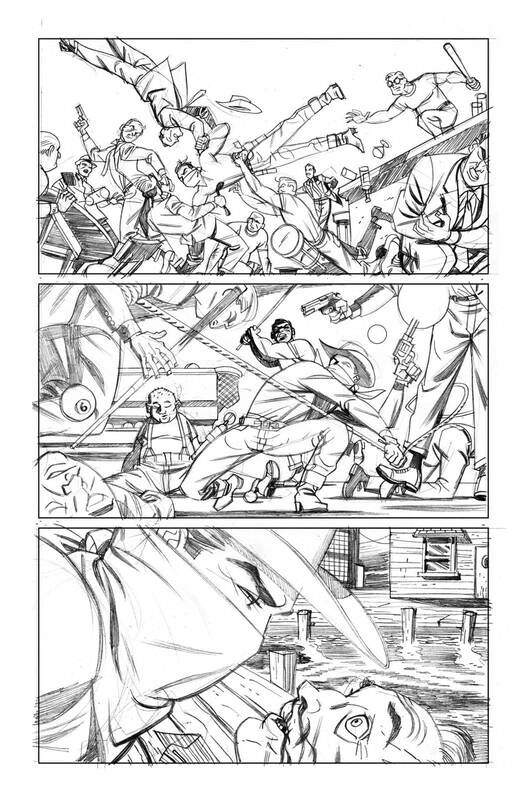 As is this page posted by Darwyn Cooke a few months ago, a pencilled page for Vigilante. Any more, he wasn’t saying. And hasn’t said since.